Any team member or family interested in ordering a poster-sized version of the program cover is welcome to contact the studio at 215-340-7552, and we’ll be happy to discuss several sizes, print finishes and mount options. 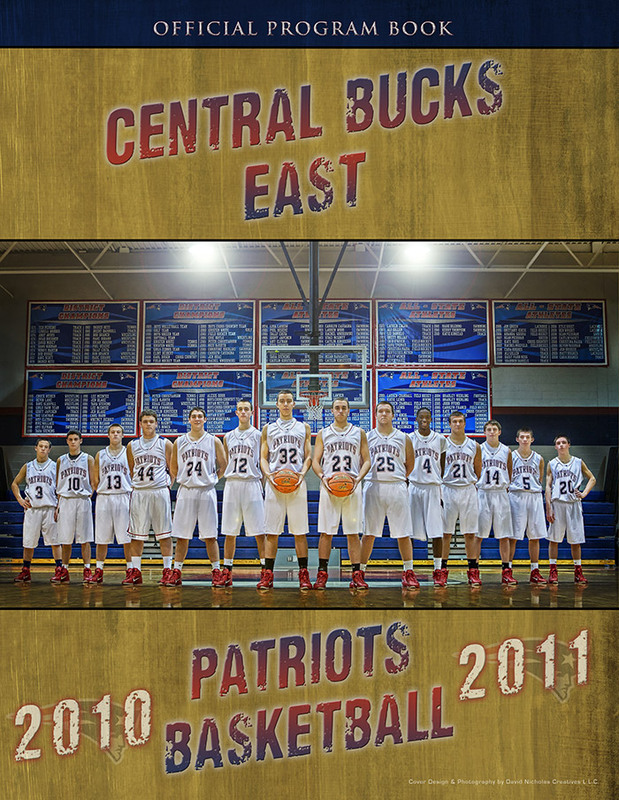 Meanwhile, we’ve photographed several Varsity basketball home games this season, and game-action images (also including the school’s dance troupe and cheer squad) have been posted to the Central Bucks East Mens Basketball 2010/2011 Season photo gallery for online viewing. As an added bonus, we’ve also produced one of our signature, HD multi-media WebShows featuring 50 select images from the 2011 season thus far. So turn up the volume at your workstation and enjoy our video!!! The Patriots’ record is now 9-5 overall, and they’re currently riding a 7-game winning streak beginning with their tremendous 52-50 win at the buzzer over rival C.B. West to a standing-room only crowd on January 7th. 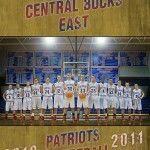 The team’s most recent win came this past Tuesday with a 55-52 score over Hatboro-Horsham — giving the Patriots a 2-game sweep over the Hatters for the 2011 season. A Dog’s Life… Perhaps The Simplest of Times… But So Very Precious! We woke up this morning to a very light blanket of snow here in Doylestown, PA. And it reminded me that we hadn’t yet posted images from our first snow of the season — back on December 26th! Yes, we missed an official White Christmas in Bucks County by just one day. But given the many Holiday travel plans, it was probably much better for Mother Nature to have delivered our first snow the day after Christmas. During our Christmas deliveries, many clients asked us about our dog, Zuke. 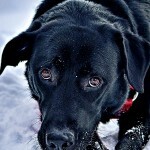 So we thought we’d start 2011 with a blog post featuring our trusty companion. 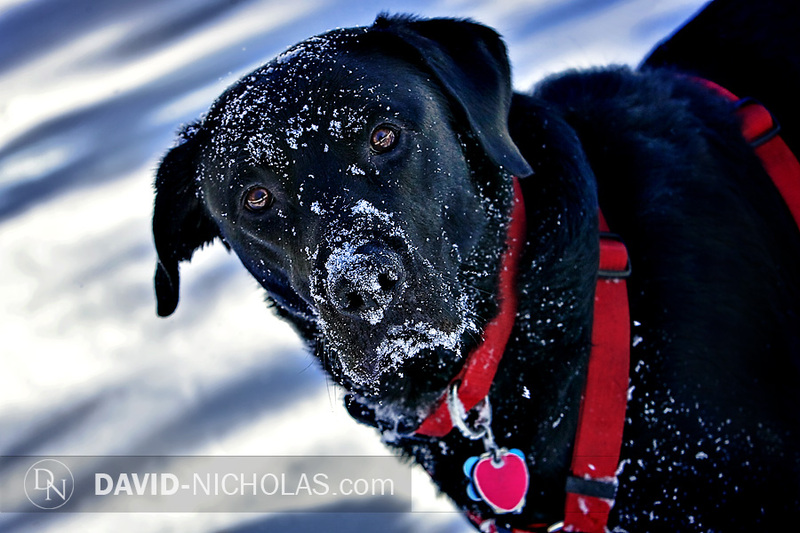 He’s now three-and-a-half years old, and he LOVES snow. 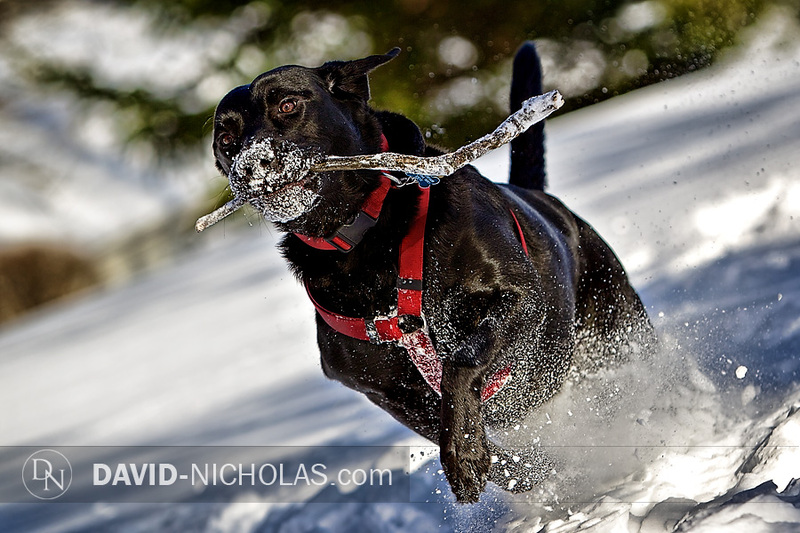 It pretty much goes without saying that he really enjoyed the 6+ inches of snow that fell on December 26. And I’d be terribly remiss if I didn’t capture at least some of the fun Zuke had just romping around in his winter wonderland of snow. Always aware when I have my camera out, here’s Zuke sneaking a peak at the camera while chewing away at a small twig he discovered in the snow. A dog’s nose is forever active, and Zuke certainly lives up to his breed’s standard. 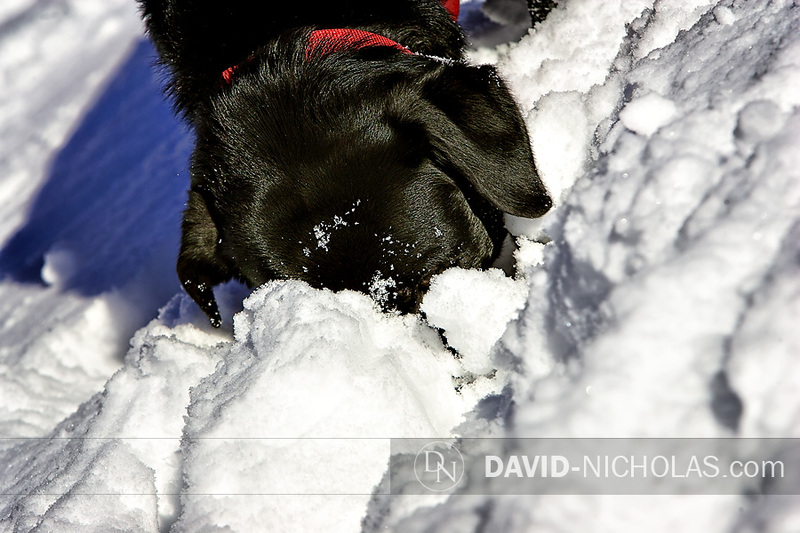 He would have made a great “search-and-rescue” dog… as evidenced here where he’s obviously picked up on an interesting scent beneath the snow cover. 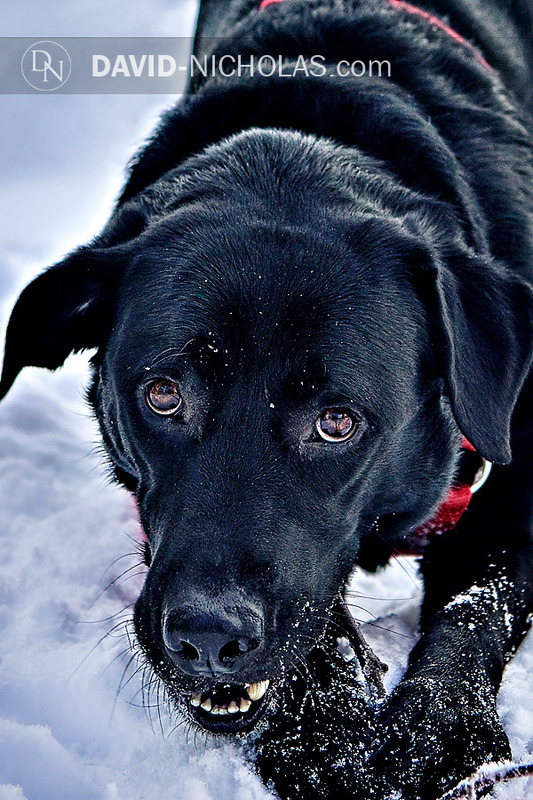 And fresh from burying his head in the snow, Zuke realizes Yours Truly has been watching his every move. Gotcha, buddy! Needless to say, we had one tired puppy in the house later that day. 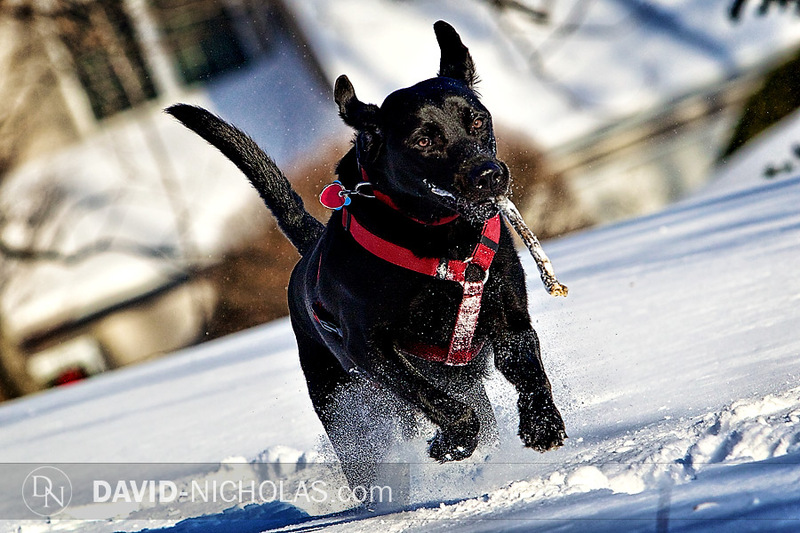 But the time spent seeing Zuke running free in the snow was priceless. And we have some wonderful images that will always make us smile… which is part of the magic that capturing great images is all about — even in life’s simplest of times! We’d like to take this moment to thank our loyal clients for helping to make 2010 another exciting year for us. We introduced more communities to our world of professional image-making in 2010, and we’re proud to have set the bar at its highest when delivering a truly memorable client experience. Stay tuned for more great David-Nicholas offerings this year! Meanwhile, we wish everyone a healthy and prosperous 2011, and we encourage everyone to take time out of often-busy schedules to enjoy the simpler things in life. 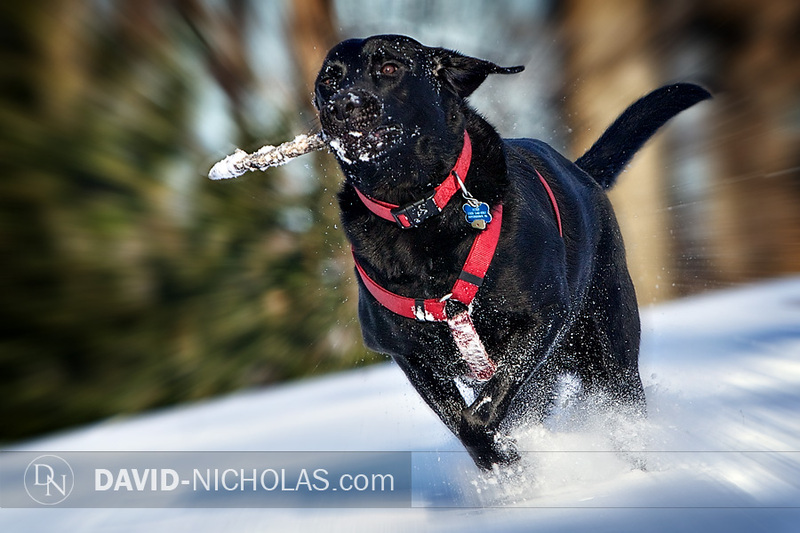 Happy New Year from the team at David Nicholas Photography & Design!